Quarterback Tyler Jones. Photo by Kiersten Ehr. SAN MARCOS – Tyler Jones has been competing for his starting quarterback position since Everett Withers got hired in January. Offensive Coordinator and Quarterbacks coach Brett Elliott said on Monday’s post practice interview that after seeing the quarterbacks in the spring game he would expect Tyler Jones to be the starter in the fall. Tyler Jones is favored over freshman quarterback L.G. Williams, Connor White and Blake Peterson all who were competing for that position as well. The only obstacle between Tyler Jones and a definite starting position this fall will be the competition against any incoming quarterbacks in fall camp. 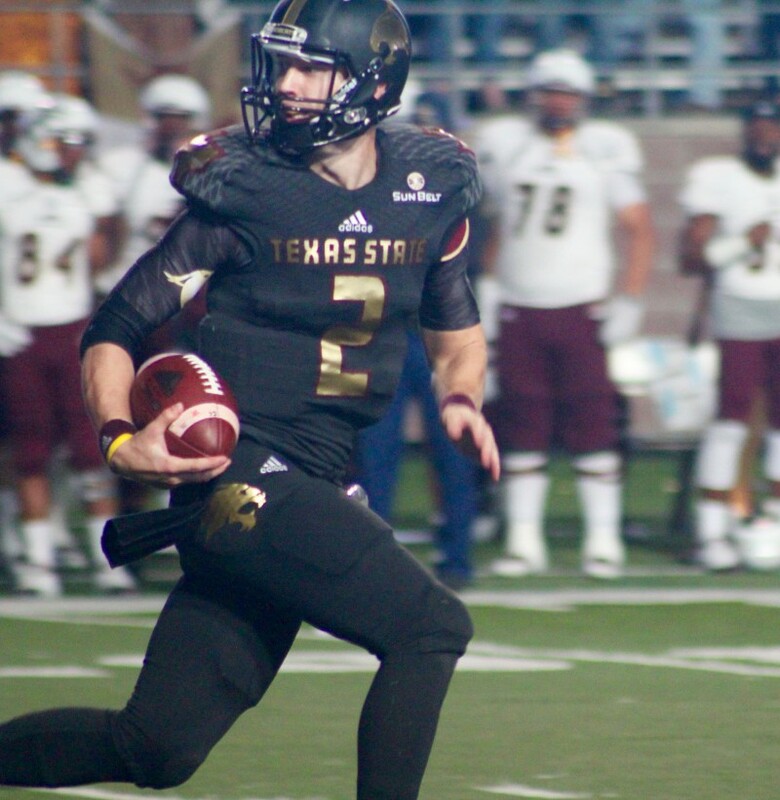 Texas State football has three practices left this spring.